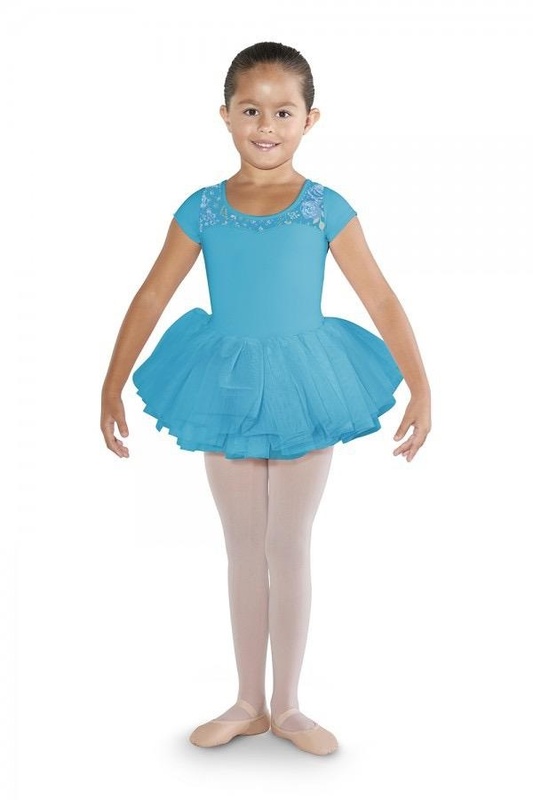 CL4842 TUTU LEOTARD - Attitudes Dancewear Etc. 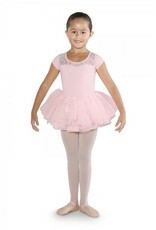 Your tiny dancer will blossom in this cute tutu cap sleeve leotard featuring an attached tutu skirt with graduating layers of soft tulle for a full and voluminous look. 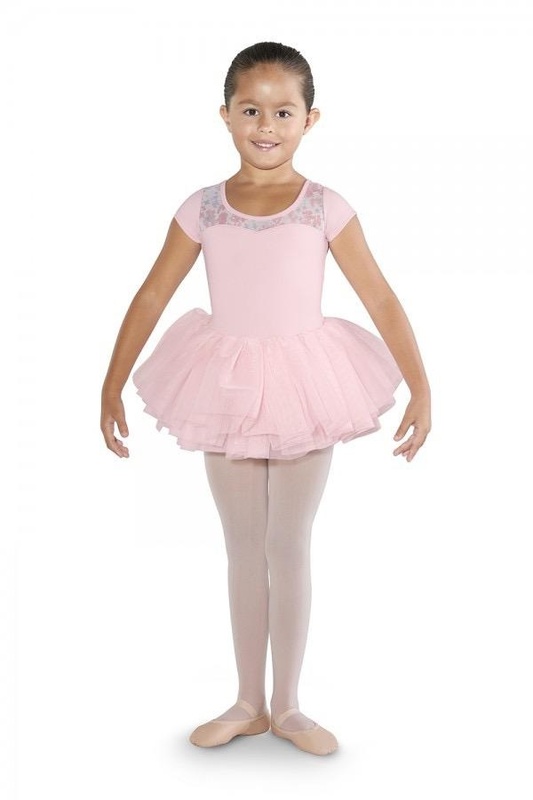 A floral print mesh decorates the front yoke over a sweetheart bodice. The scoop back features wide floral print mesh straps that cross in the back. An all-in-one piece which is easy for a young dancer to wear comfortably over a pair of ballet tights.